Showing results for tags 'NEC'. As usual, the HyperList database was a mess in regards to the <manufacturer> field. It's like someone used inaccurate sources like Wikipedia exclusively, copied the information badly, and didn't bother to check anything. I checked the offical thread, it didn't look like anything was done with the Hyperlist database - so I am declaring this the new official. The name on the box is the name in the manufacturer field - none of this 'Turbo Technologies, Inc.' in small print on the back of the box (who was the *distributor* in many cases, not the developer or the publisher). I check the box labels, not a 3rd party source - so if there are errors, they are mine alone. Also note that I give priority to the label name given on the box above all else. If a game was developed by Data East, has the Data East logo on the front, but then in small print on the back it says "Published by NEC," yeah that's getting labelled as a Data East game. Database work isn't fun to me... but I get seriously annoyed when I see inaccurate data. The PC Engine database is about 10x worse but I just don't have the motivation to do that right now. Just trust that the name of the publisher (?)/developer(?)/distributor(?) has about a 50/50 chance of being right every time you see it. There's room for improvement with this database - I didn't check years or rename games pedantically according to the name on the box (the *right* way to name a game). But publisher data is one thing I'd like to always see right, so this is my contribution. If you find fault with this database please bring it to my attention. I hate inaccurate data just as much as you do, trust me. 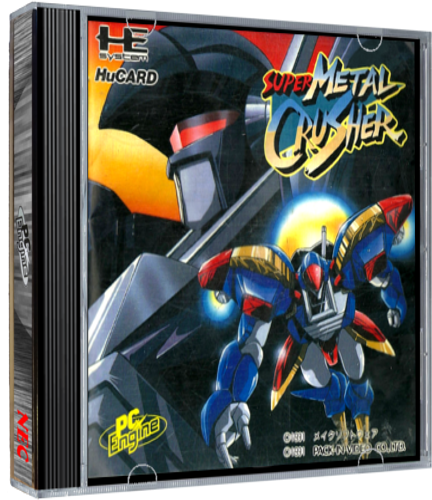 Added to HyperBase on 08/12/2016 - Circo A complete 3D box art set for NEC PC-FX. Greetings Spinners. 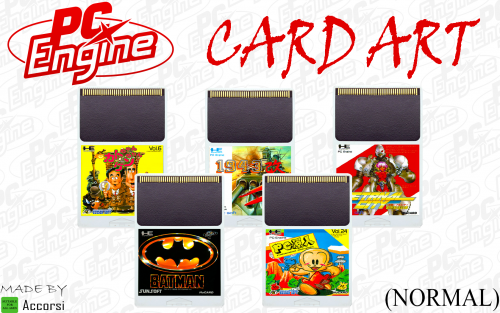 I bring you the 3d Box set for the NEC SupergrafX, in this Zip file you will find 2 folders. one containing the 4:3 format boxes and the other the widescreen 16:9 format I hope you will enjoy them. NEC model query - Is this information correct?